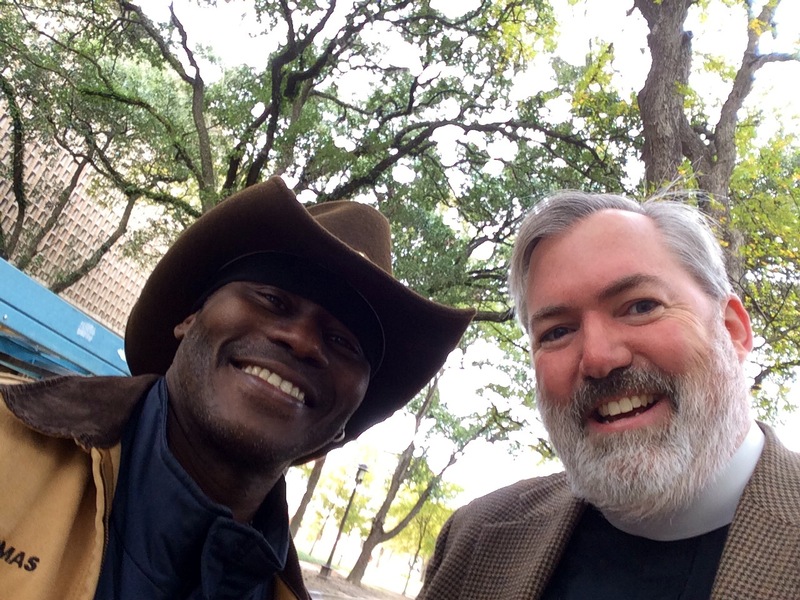 I was recently walking on the campus of Rice University and ran into a familiar face. This is John Thomas, who works at Rice during the day and, after finishing there, as a security guard across the street at Palmer Memorial Episcopal Church. He always stops to greet me, and he always has a cowboy hat as part of his fashion statement.